Why are three parallel caps used instead of one 3.3 µF cap? Why do they all have a different package size? Is the order important (i.e. is it important that the smallest-value capacitors be closer to the chip? 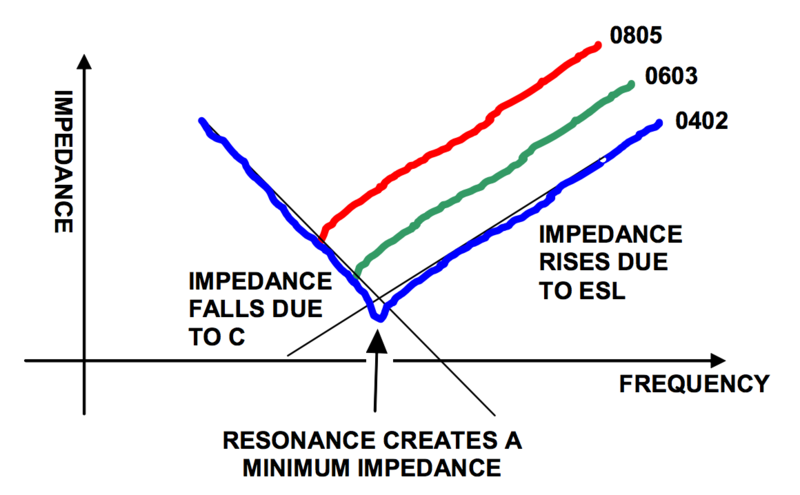 Given a dieletric type, the smaller the capacitor, typically less parasitic inductance it will have (better response at higher frequencies), but also less capacitance. You can mix sizes, values and types of capacitors to achieve a required response that is broader than what a single one can provide. 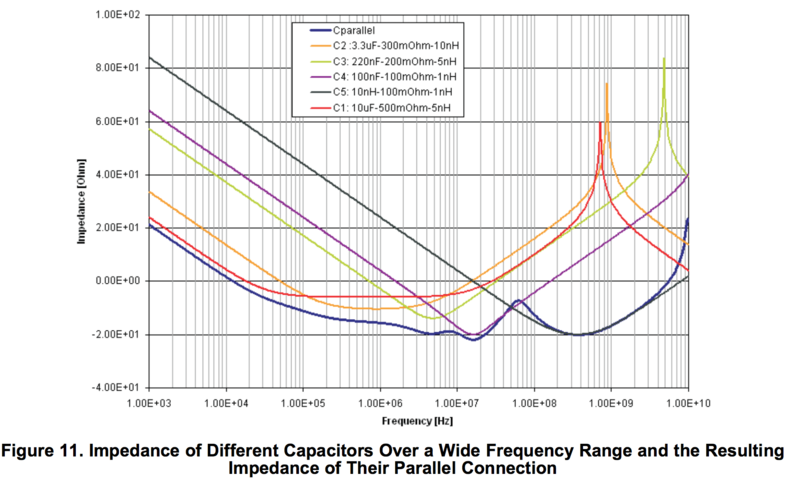 It's not just about the capacitance value. 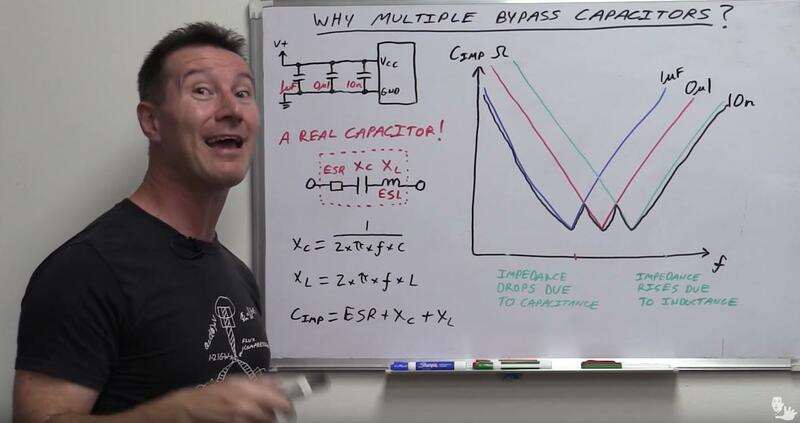 From "EEVblog #859 - Bypass Capacitor Tutorial". 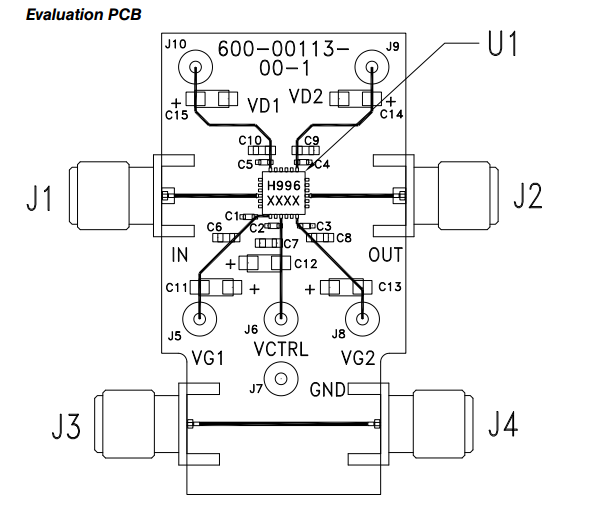 From "Intersil - Choosing and Using Bypass Capacitors - AN1325"
From "TI - High-Speed Layout Guidelines"
Each of those capacitors has a lower ESL/ESR at a different frequency. In a standard application one would choose a capacitor to have the lowest ESL/ESR at the frequency of the expected power line fluctuations. However, in systems where there is a range of frequencies at which the power line could fluctuate, the designer may opt for multiple capacitors to "cover" the different frequency ranges. It's just a way to minimize the ESL/ESR of the bypass capacitors over a wide range of frequencies, thus maximizing their effectiveness. Not the answer you're looking for? Browse other questions tagged amplifier rf bypass-capacitor or ask your own question. What type of schematic to use for a symmetric power supply? Why don't large Decoupling/Bypass Caps use current limiting resistors?